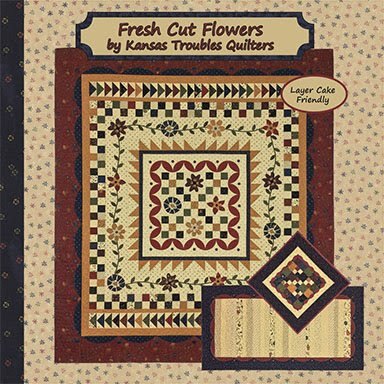 Fresh Cut Flowers is Here! On a cold, windy March day, the UPS guy backed up his truck with dozens of boxes from Moda full of sunshine. Yes, sunshine can come in a cardboard box. As we opened the boxes, full of my new Fresh Cut Flowers fabric collection, the KT Quilt Shop brightened a little, welcoming it's new arrivals. All of us were smiling as we pulled one bolt after another from the boxes, "oohing" and "aahing" and petting and fondling the pretty floral prints in happy spring colors. 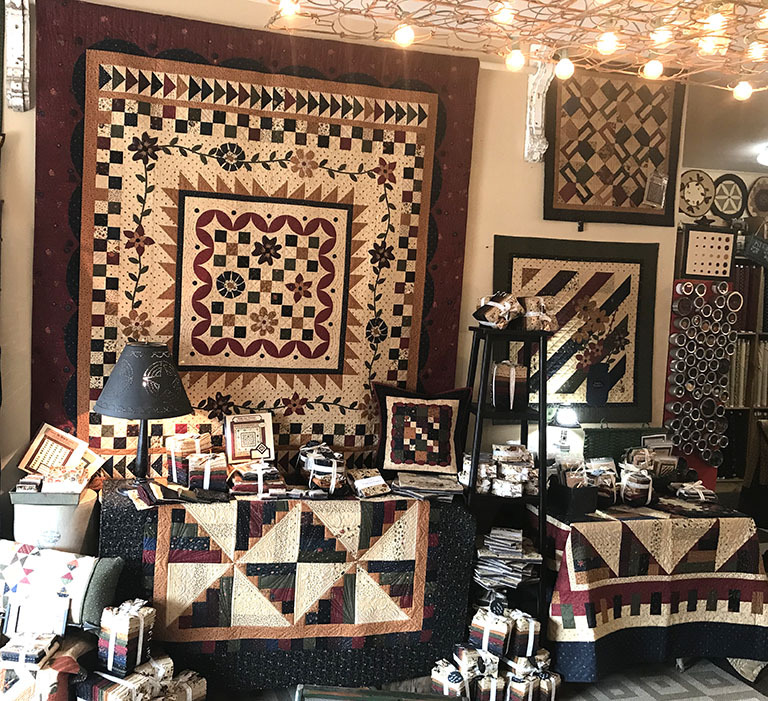 Robert rearranged the store displays to feature the new quilts, stacking precuts of all sizes to tempt shoppers. The store was blooming with Fresh Cut Flowers! The Fresh Cut Flowers lap quilt is hanging on the wall. Windmills and Fence Posts are draped over the ironing board and table. 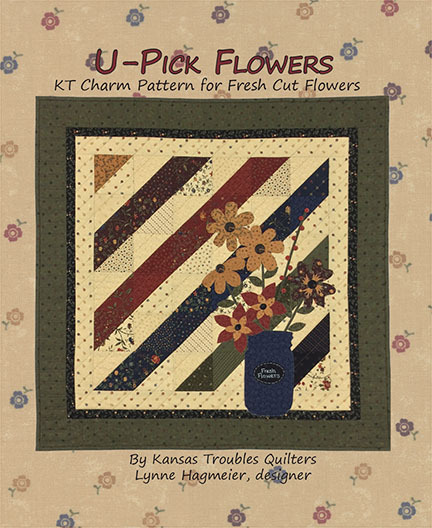 The U-Pick Flowers charm quilt is to the right, but kinda dark, so here's another look. 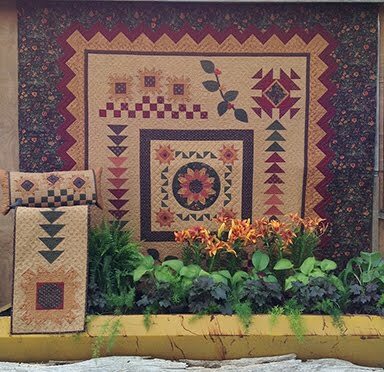 Find the pattern/kit HERE. Are you signed up for our Fresh Cut Flowers 7-Month Block-of-the-Month? 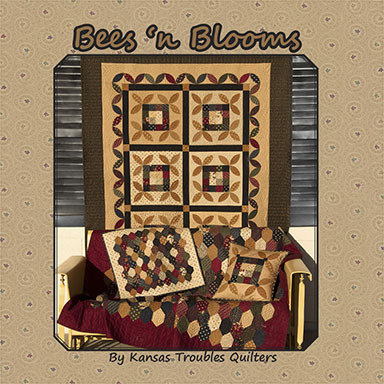 We're offering either the lap quilt of king size option beginning the middle of April. 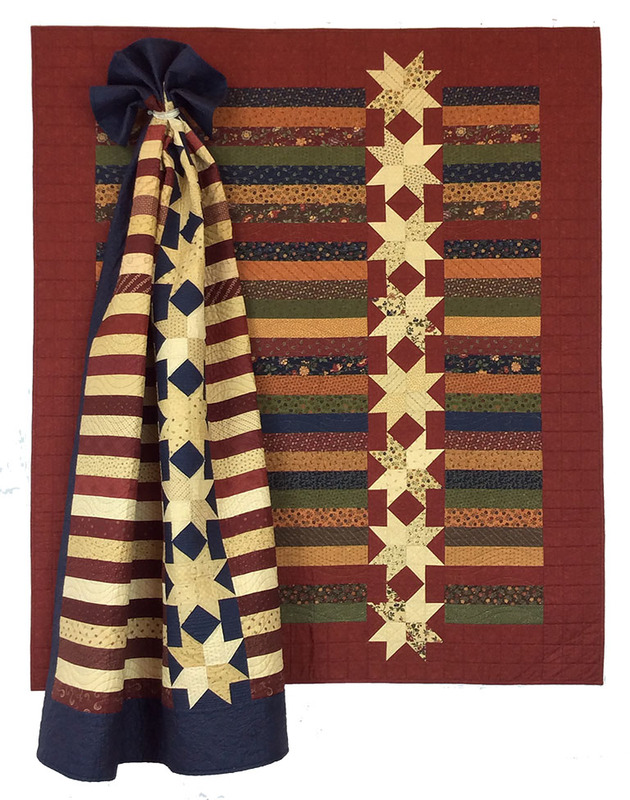 You'll receive all the fabrics you need for the quilt top/binding, precut needed, KT Kut-ups precut fusible appliques, buttons and booklet plus free shipping for $32/month lap quilt or $48/month king quilt. 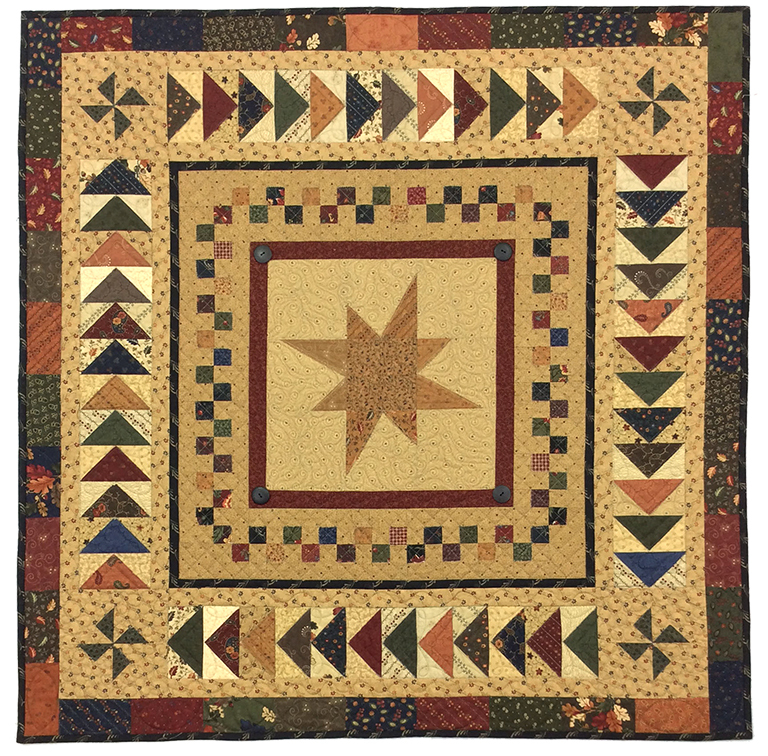 Wouldn't you love to awaken each morning curled up under this quilt? Call the store to reserve your space. We have a few spots open. 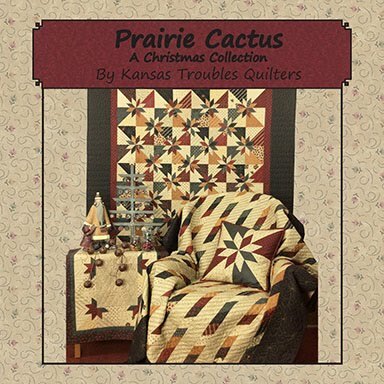 KT Quilt Shop - 785-488-2120. 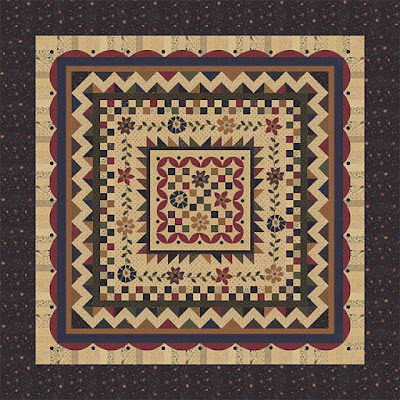 Do you follow the new KT fabric introductions? Would you like to have a little bit of what's new several times a year? Join our KT Collector's Club! 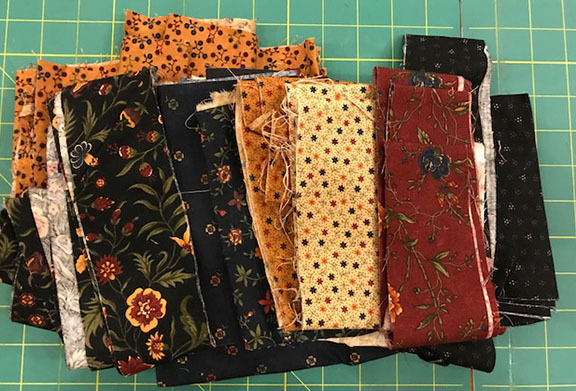 Each time a new KT fabric line arrives, we send out a sampling of 6 fat quarters, a mini charm pack and the charm pattern for that collection to our faithful KT fans for only $25 - FREE shipping. 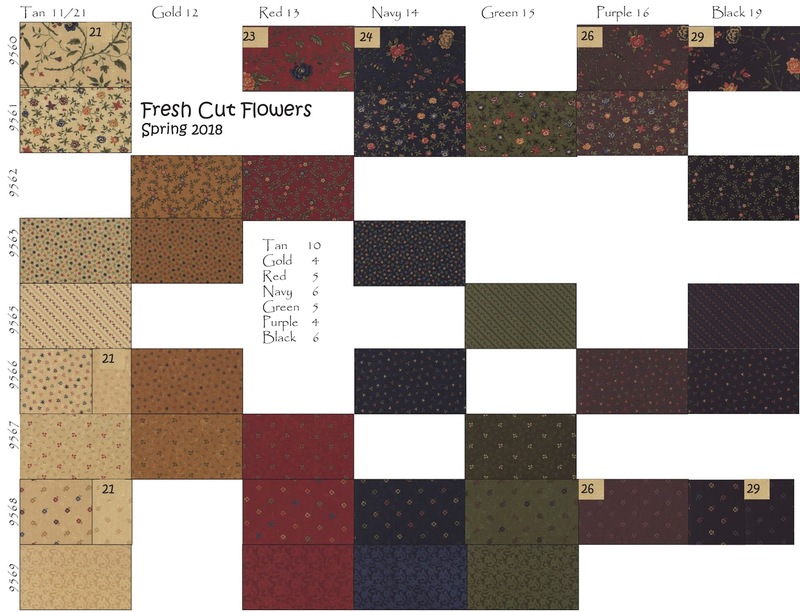 Robert also includes the fabric swatch chart with the 40 prints for the collection in your packet (see the link below). 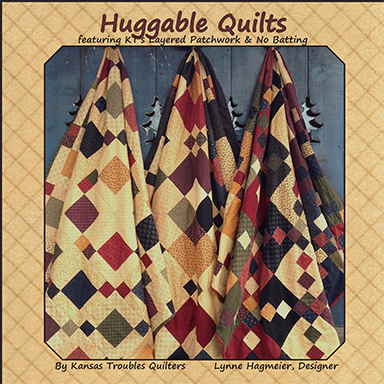 We want you to be the first in your quilting group to have the newest KT fabric. 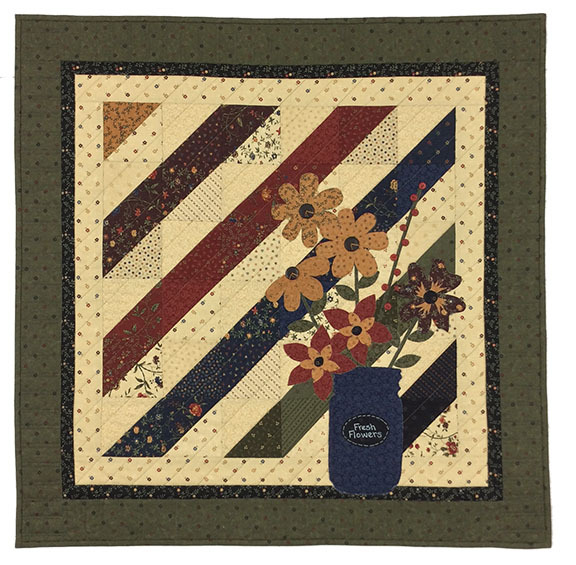 Fresh Cut Flowers' Collectors Club is shipping this week, so don't miss it! To celebrate the arrival of the new fabric, we're giving away a Collector's Club pack this week . 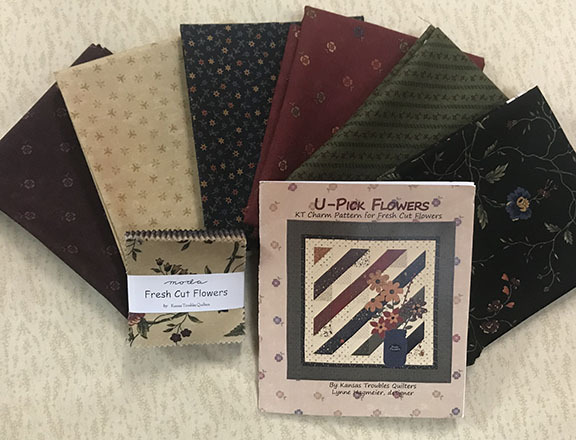 Comment to win a sampling of Fresh Cut Flowers fat quarters, a mini charm and the U-Pick Flowers charm pattern. Happy Spring & Happy Easter! We slept at home last night after being on the road for almost 3 weeks, driving to and from Florida and teaching on 2 quilting cruises in a row. It was good to sleep in my own bed - especially because it wasn't moving! The first week of cruising, we had gloriously calm seas and happy cruisers/quilters all around. 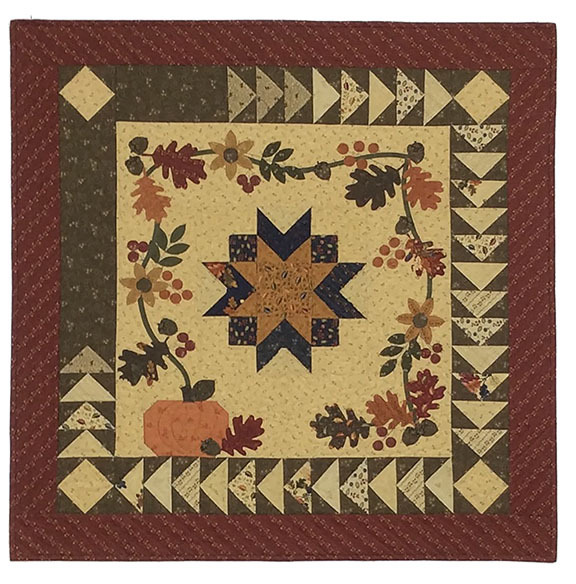 The ladies worked on a 9-patch batik quilt with Jenny, finished a delightful quilted bag with Judy and her amazing Baby Lock Crescendo embroidery machine, and pieced a wall quilt with seasonal button-ons with me. 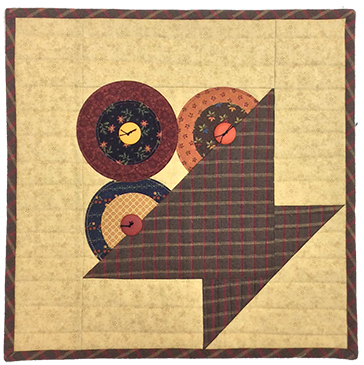 For Week #2, we welcomed another 100 quilters who were anxious to start sewing. They got their wish when the waves were so high we couldn't port in the Bahamas the first day as planned. What to do? Start classes a day early! We made lemons into lemonade and had a delightful second week, as well. 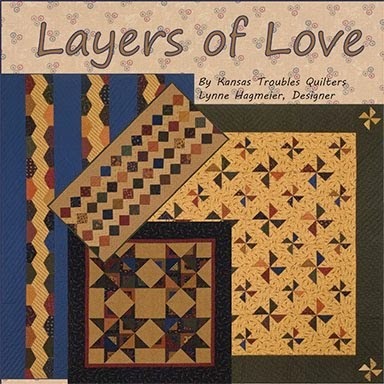 I love to share my Layered Patchwork technique and spend time with quilters, listening to their personal stories. All in all, a great adventure. Thanks to everyone who made the voyage with us one to remember. 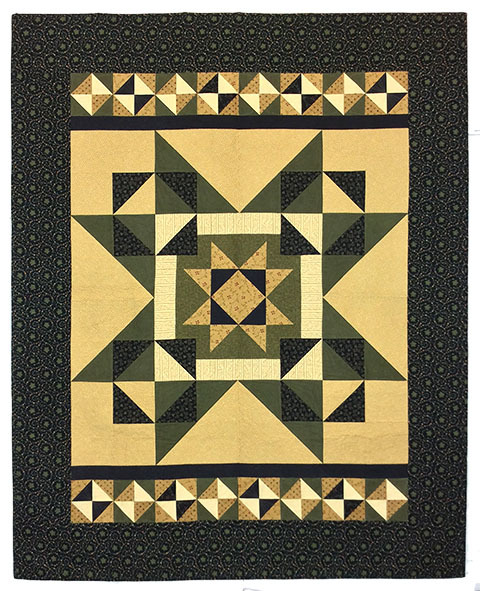 While we were away, our ktquilts.com website/emails quit working. No one can explain why - "Technical issues" was the explanation. So, if you tried to place an order or email KTQ between about February 25th and March 5th and have not received a reply, please call to make sure we received your email/order. All is good and we're back online again. There are lots of winners to announce this week, so let's get to it! Gwynette in NW Arkansas - Windmills and Fence Posts sounds so "Kansas". My daughter lives in Clay Center and we love your shop. 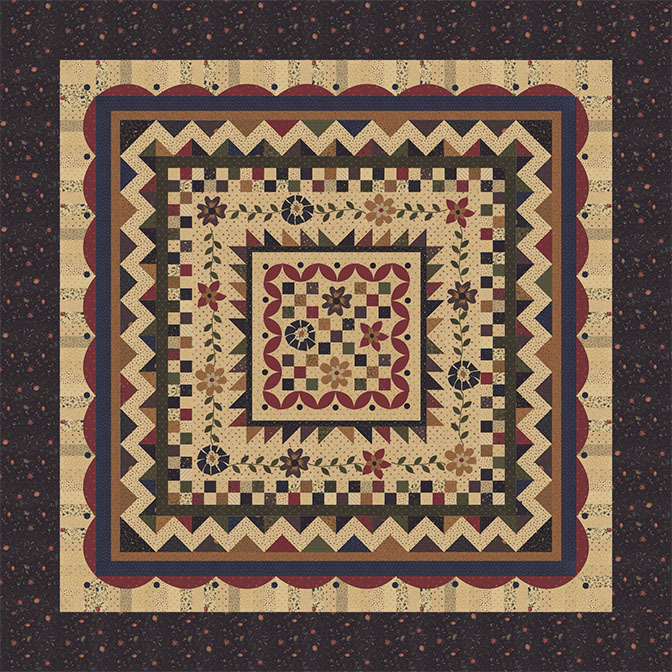 Thank you for simplifying the log cabin into a great looking quilt!!! 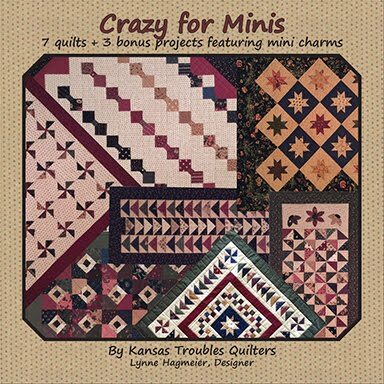 Donna Lee Lurker - I would love to win the Mini-Charms quilt book! I've missed the Blockheads weekly get-together. I hope you'll be participating in Blockheads II! 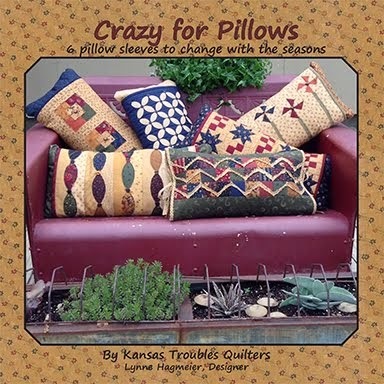 Cheree @ That Morning Latte - This book looks like so much fun, and one that I would make most, if not all, of the projects from! Roxanne B - Your designs are wonderful as usual. I'd love to learn the layered technique and more about the cruise. 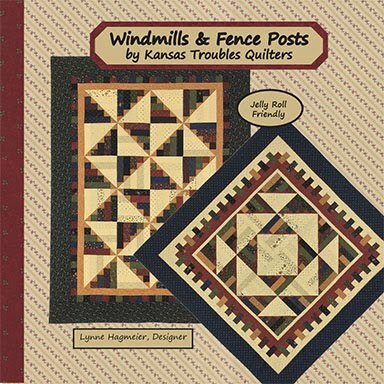 Judy Zoll - Mostly I use Bonnie Hunter's system, except for my KT scraps which have their own special place. 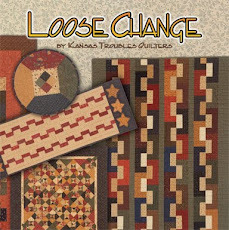 I am currently working on a scrap quilt using my KT fabrics so my drawer is getting depleted. 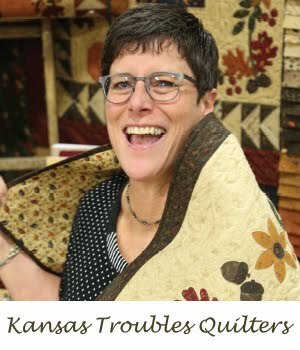 What a great time to win some more KT fabrics. 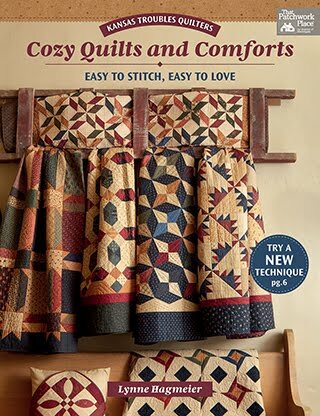 Through the years I have gone from one style to another, but I have never tired of the KT fabrics. Keep up the good work. WhiteEagle - I keep my various half square triangles, sorted by size, in clear shoe boxes that take up two shelves in a bookcase. My strips go in a bin that I try to use daily for strip blocks and also use them for beginning and ending sewing. That way I'm always doing two projects at once. 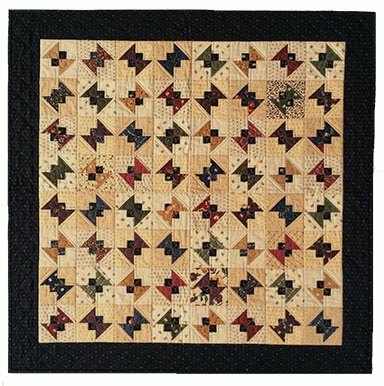 My larger squares are used in four patches and sorted like the half square triangles and also for start and end sewing if I run out of strips. 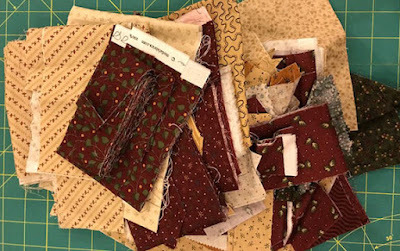 I'm still uncovering bags and bundles and boxes of scraps leftover from quilting projects over the past year or two. My baskets and bins are overflowing, so I'd like to share with you. Here are two more assortments of scraps for our giveaway this week. 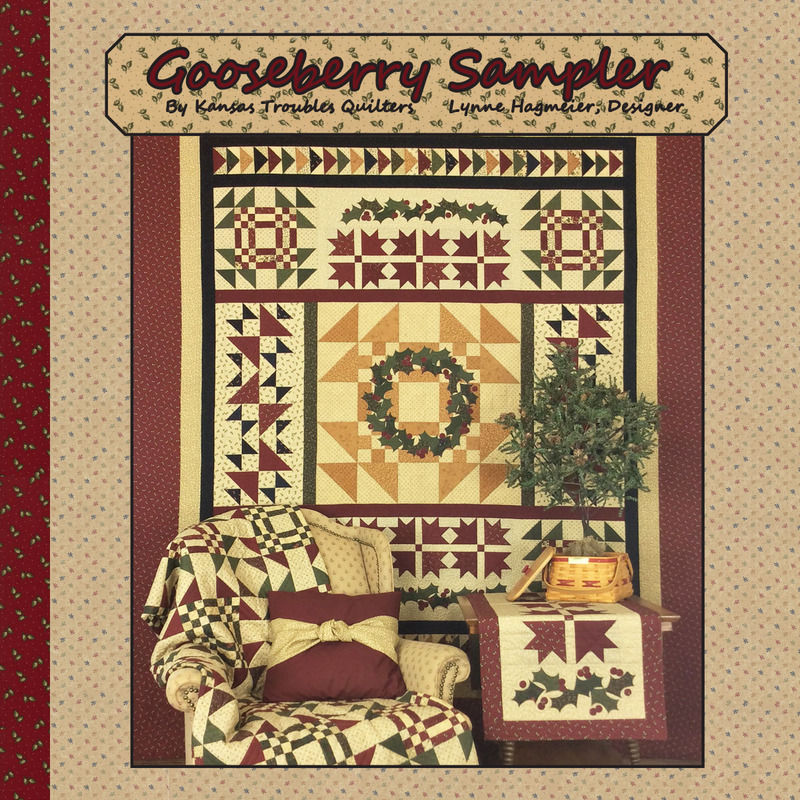 I think several of these prints were used for Christmas projects like the Gooseberry Runner, below, but some are Harvest Hill, too. Included are several different reds, tans and a couple blacks. Not sure where this bag of scraps came from. It has quite a few 2 1/2" strips from a couple different lines, plus a chunk of backing (gold dots). Great for scrappy projects. 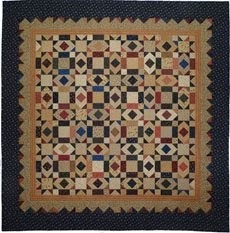 I have bins for strips and squares, fat 1/8's and fat 1/4's by color and folded yardage on shelves. When I come to the end of chunk of fabric, I cut it into strips or squares to add to my bins. Lately, odd pieces and parts seem to be taking over every flat surface! 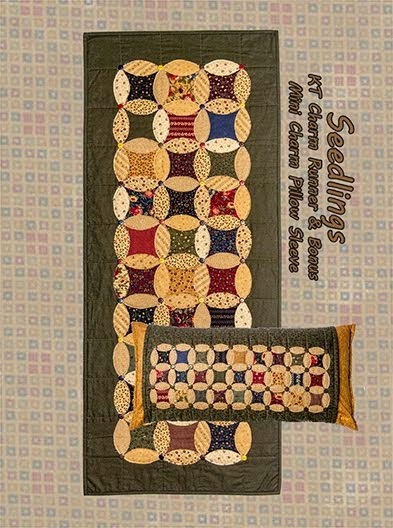 Comment on how you keep scraps of all sizes from over-running your sewing space. I could use a few pointers. 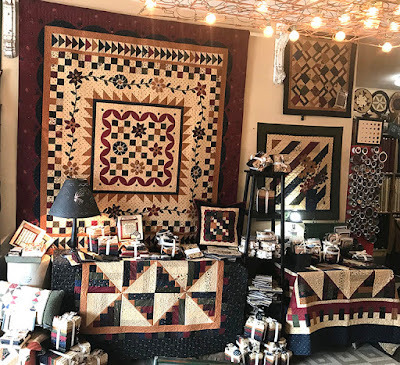 While you're reading this, Robert and I are teaching (or rather, playing with quilters) on a quilting cruise with Jenny and Ron Doan (Missouri Star Quilt Co). Jenny and I plan workshop trips together just so we have time to hang out. Both of our lives are crazy busy, so it works out great! 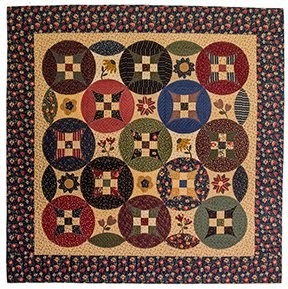 I'm teaching a sampler style wall quilt to share my Layered Patchwork technique with the ladies on the ship. 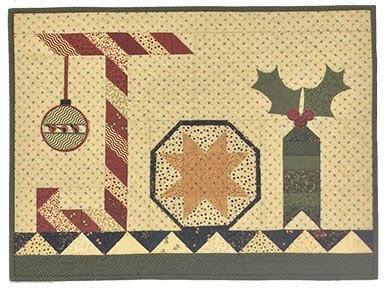 It includes a wonky cemter star, rows of flying geese, a checkerboard border and pinwheels in the corners. 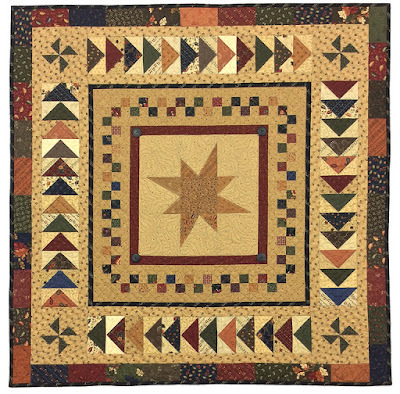 We'll learn all the basics to tackle virtually any KTQ pattern using Layered Patchwork. 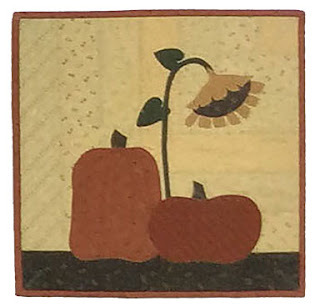 In addition, there are four seasonal button-ons featuring our KT Kutups precut fusible appliques. See the buttons in the corners of the red border? 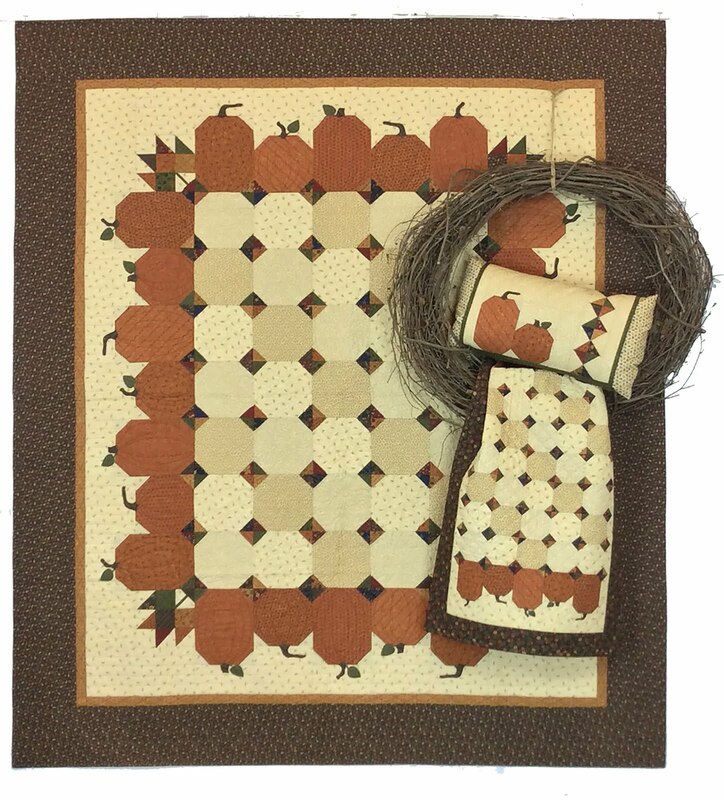 Hang the quilt once, change it for the seasons! 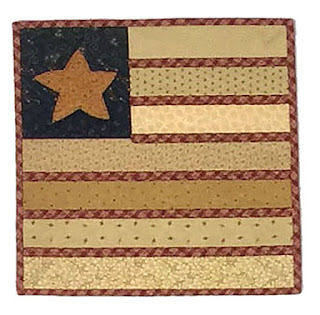 Happy Birthday, America 14" sq. 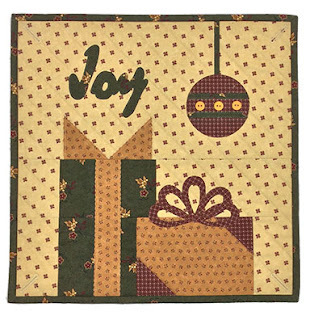 Joy of the Season 14" sq. 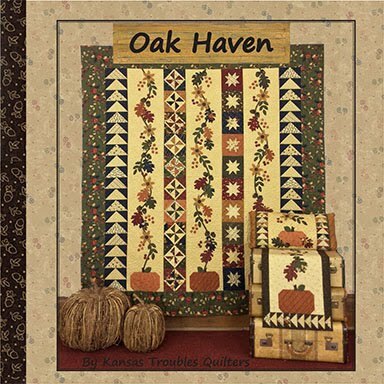 Comment this week to win a Through the Year Again pattern or find it on our website HERE for the March Special price of only $8 (retail $10.95).